As much as we might wish we could take a six-month sabbatical from regular life to immerse ourselves in cider education at Cornell, Penn State Extension or The Beer & Cider Academy, alas, it isn’t realistic for many of us. Luckily, there are plenty of resources out there to help us become better cider consumers, enthusiasts and/or aspiring cider makers! As with all things on the internet, some resources are better than others, so we’ve handpicked a few places to start — dive in and make leveling up your cider nerd game your personal summer project! Redfield is a cider-focused bar and bottle shop coming this fall to the Rockridge neighborhood of Oakland, California. 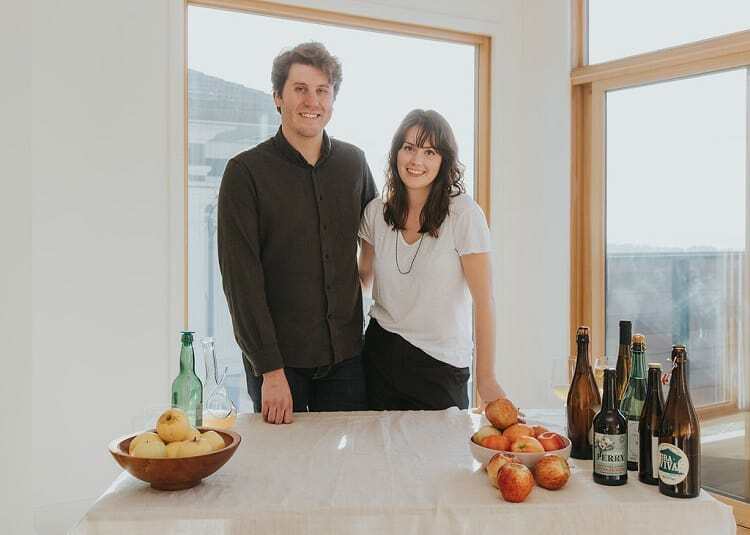 While they’re busy preparing to open their space, founders Mike Reis and Olivia Maki are sharing their passion for cider through a brand-new podcast called Redfield Radio. They’ve just dropped their first two episodes: On Episode #1, the duo discusses their “personal cider epiphanies,” “the meaning of ‘craft,'” and “the delight of bud break”; and Episode #2 covers cider styles, cider language and ice cider. These folks are friendly and knowledgeable, but totally unpretentious, and these first two episodes are pleasant and informative 20-ish-minute listens. Find the first two podcast episodes via the Redfield website, or subscribe via iTunes or your favorite podcast app. ‪Ready to write cider’s own version of Bourdain’s Kitchen Confidental now that I’m stewarding at #GLINTCAP ?‬ Behind the scene at the cider Competition! Cider podcasts certainly aren’t a new thing. Case in point: Cider Chat, a well-established weekly show from Ria Windcaller, a Massachusetts-based cider expert. With 131 episodes and counting, Cider Chat offers tons of informative, engaging cider-related content for you to catch up on during your commute to work, or on your next road trip! Each episode features interviews and news, ranging in topic, from a deep-dive into the cider scene in Japan to a chat with Marcus Robert of Tieton Cider Works about keeving techniques for making perry. Cider Chat also hosts global cider tours, offers a guide for resources and much more! Swing by the site and feel your cider knowledge grow, almost as if by osmosis! Are you in love with cider, but frustrated with how hard it can be to find bottles from small American producers on the shelves of your local liquor store or bottle shop? Aren’t we all! The answer to this problem is now conveniently solved with the launch of Cider in Love, an online retail platform that’s kind of like Etsy for cider lovers. Founder and president Annie Bystryn partners with cider makers to offer products shipped right to your door. 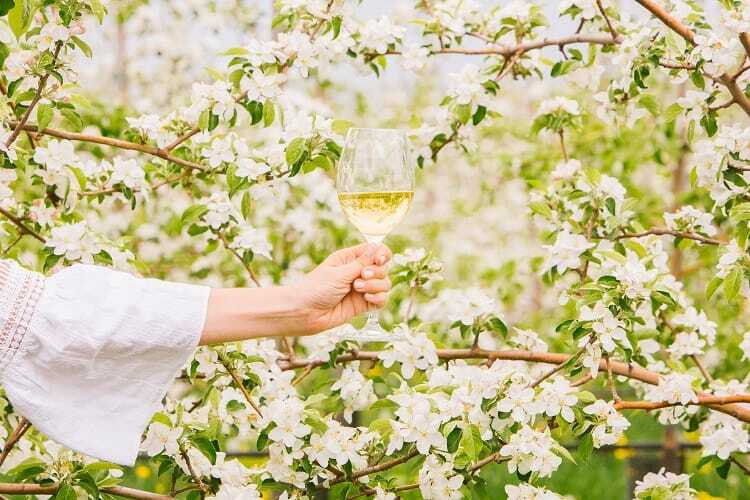 Get excited to try ciders that you may have read about but never got the chance to taste, from producers like Tilted Shed and Redbyrd Orchard. Tasting amazing cider IRL really is the best form of education! Shop for small-batch, heritage ciders via region or flavor profile, like citrus, floral or mineral. Thorough tasting notes, serving tips and pairing suggestions offer what you wish you could get during real-life cider-buying excursions. Sorry if this ruins your happy dance, but, at present, Cider in Love can only ship to California, Colorado, Florida, New York, Massachusetts, Minnesota, Missouri, Oregon, Washington D.C. and Washington State — but more states are reportedly on the way! Pro tip: Use the code FIRSTTIMEINLOVE for 10% off your first order! Huzzah! Cider-man-about-the-globe (and occasional Cider Culture contributor) Gabe Cook, AKA The Ciderologist, is putting out a book about cider! There are already a handful of cider books out there, but to be frank, they can be a bit of a snooze. We’re super-stoked for Gabe’s book, partially because he’s so knowledgeable and passionate about the topic, and also because his writing style is chatty and funny and infused with his personality. No word yet on pre-orders, but you’d better believe we’ll be some of the first in line (on the internet, of course) to snag copies of our own! What are some of your go-to resources for learning more about cider?